I haven’t blogged in over two weeks. Making me the worst real blogger ever, but still a PRETTY SOLID fake food blogger. What have I been doing? Working. Eating. Thinking about food. Not really cooking it too much, though. What have I not been doing? Blogging. Duh. And I’ve had some less than amazing food days. Two nights ago, I got a chicken souvlaki from Hero House with a side of fries….and a side of chicken fingers. Good? Yeah. Gross? YEAH. But the coolest food discovery of the last few weeks has been a reintroduction to an old friend. A nerd god among men. A clotheshorse. A good looking enough guy, sure, but his brain makes him one of the sexiest men on the planet. I’m talking about Alton Brown, people. He looks a bit of a Grouch there, really. 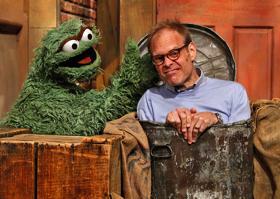 Alton Brown is excellent. And his podcast, The Alton Browncast, is excellent. Why, you ask? First off, he’s a food authority. He not only knows how to make food delicious, but he understands the science of the food. Why it tastes the way it does. What happens when you add this ingredient to that. Why you cook it this way. He gets the chemistry of it all. And he presented it to us for years in his phenomenally entertaining show Good Eats. Who knew Food Science + Cooking + Nerdy Glasses Guy could be so fun to watch? (Bonus: Alton was a Theatre major at the University of Georgia. So, of COURSE he made it fun. Also, I was a Theatre major. So, of COURSE I love him.) And the other thing about him, after listening to his podcast, he’s a regular guy with interests beyond cooking. So that makes him a terrific interviewer. He can talk about race horses with Bobby Flay. He can talk about daughters with Hugh Acheson. He can talk about Atlanta with Keith Schroder. And, by the way, he can–and does–talk flavors with all of them. Are you a Doctor Who fan? So is he. He even created a recipe for fish fingers and custard. Do yourself a favor. Listen to this podcast. It’s a little less than an hour. You’ll learn something new. Every podcast, there is a food of the day and he answers questions from listeners. You’ll laugh. He’s opinionated. He’s cheeky. He loves a game. He said he’s doing his new culinary game show Cutthroat Kitchen because it is primarily fun. But most of all, this podcast is available to you for the low, low price of absolutely nothing. That’s right, folks. The absolutely low price of 0 dollars. You can’t beat that. Don’t delay. Download the podcast player on your phone (if you didn’t have it already like me…) and download his old podcasts. You could do it in order. But I started with Alex Guarnaschelli’s and it was charming. Or hell, listen for free online on The Nerdist. Say yes to food. Say yes to science. Say yes to glasses. 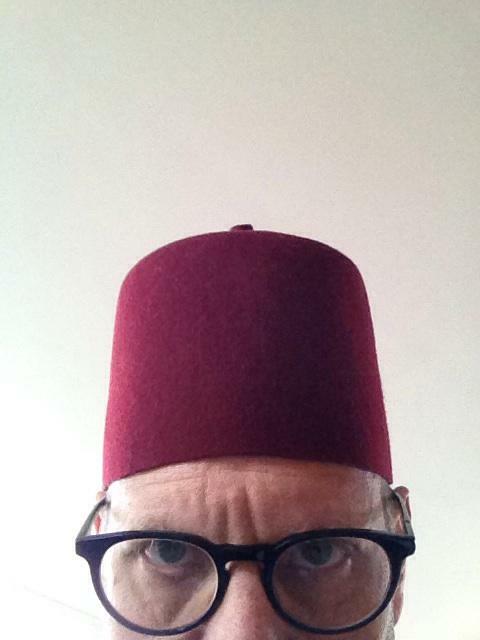 Say yes to fezzes. Thank you kindly, fair stranger! Keep coming back for more jokes and food and stuff. Glad you enjoy!